Enjoy a 15% discount code: eventbrite when you purchase your first stamps. Monitor your sendings, see who has viewed your sending and who hasn't, resend for free! NEW: Synchronize ticket registrations, see which recipients have bought tickets. Send messages/reminders for free and ensure a successful event! Get Started! 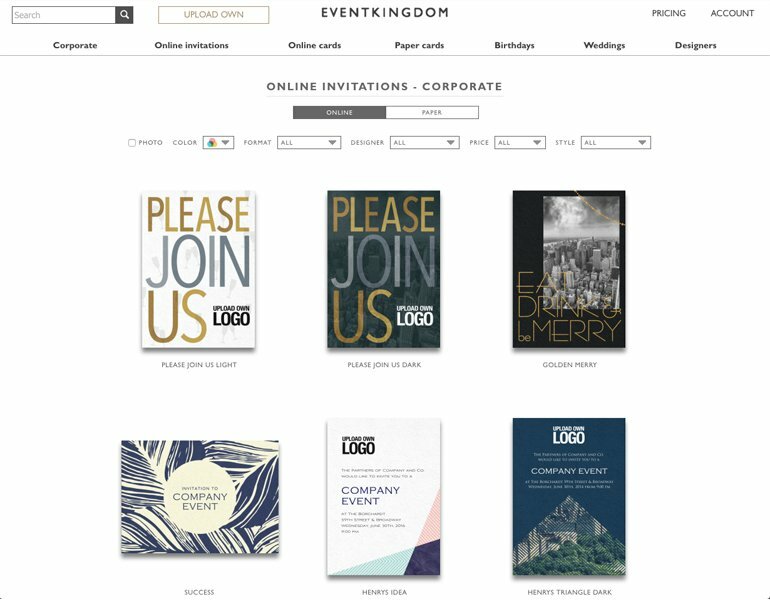 Browse through the available EventKingdom designs and select your favorite to personalize or upload your own design! After selecting the design of your choice, you can customize your design with a wide range of features and styles. To link your event with Eventbrite, simply go to the Reply Page in your editor. Here, you will be able to select your Eventbrite event and link it to your invitation in a single click. If you have not yet created an Eventbrite event, you can click on "New Eventbrite Event" and easily create one. If you select this option, fill out the required information on Eventbrite, and publish your event! Then, return to EventKingdom and select it in our pop-up. You also have the option to copy the details of your Eventbrite event to auto-fill your details page. Once you have linked your event, you can confirm the dates of your event are correct on EventKingdom, or enter any additional info below. After you have ensured the details of your event are correct, you may preview and send your invitations to the guests of your choice. 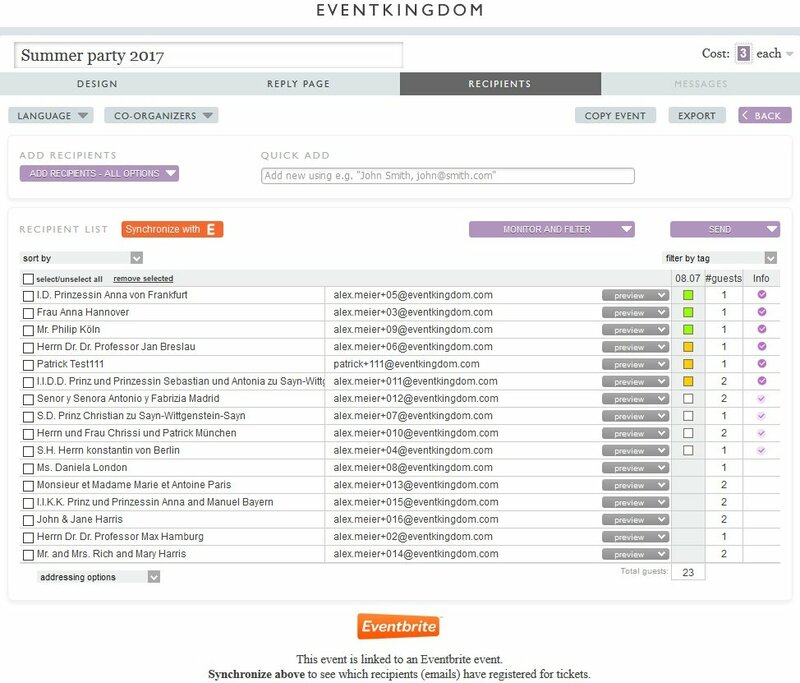 EventKingdom offers many ways to add recipients, including importing contacts or adding emails individually. After sending you can track who has received your sending and synchronize your tickets sales to manage tickts. 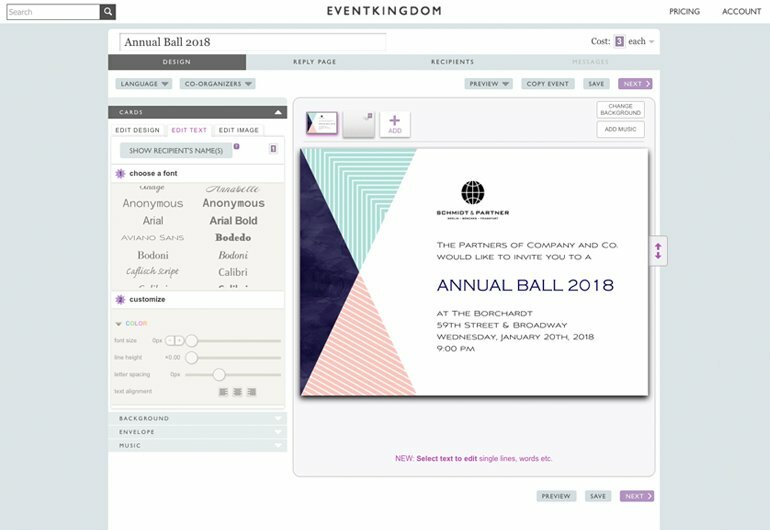 When your guests receive the invitation from EventKingdom in their email inbox, they will be able to watch your beautiful invitation come out of its envelope and see the details of your event. The guest can then click on the ticket box on the website to register and buy tickets for your event. 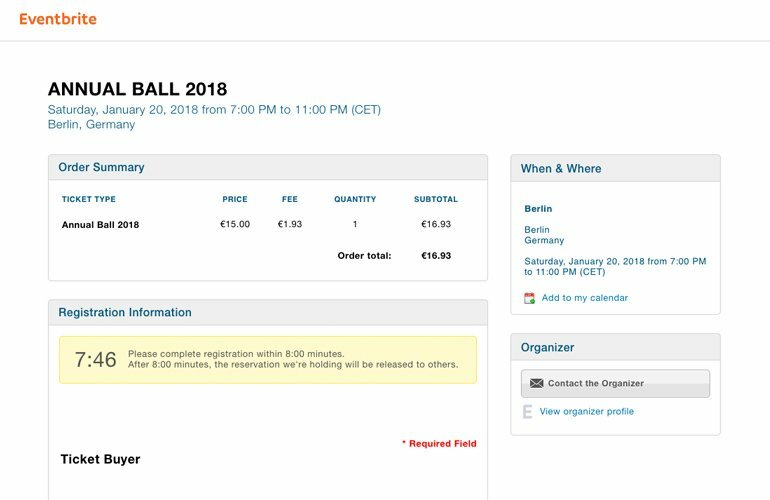 Once the guest selects the quantity of tickets they would like to order and clicks Order Now (or Register if your event is free) they will be taken to your event page on Eventbrite, where they can enter their information and complete their order for your event. 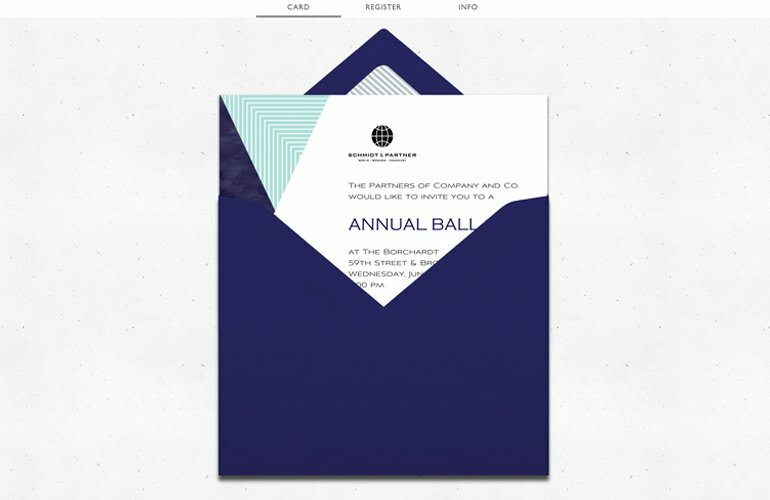 Congratulations: You've successfully sent out beautiful invitations to your guests! Note: When you signup for an account with EventKingdom, you are given a limited quantity of stamps to use to send your invitations. You can go here for more information on EventKingdom's pricing.